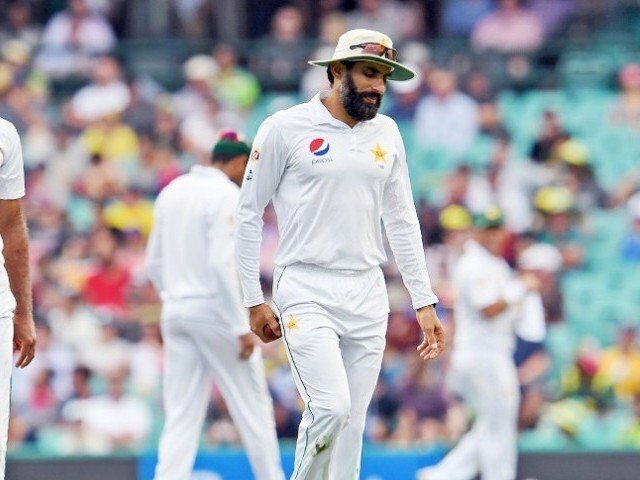 KARACHI:Â The Pakistan Cricket Board (PCB) chairman Shahryar Khan does not expectÂ Test captain Misbahul Haq toÂ continue playing for Pakistan beyond the upcoming tour of West Indies. While talking to the Daily Express, the 82-year-old revealed that after the disappointing tour of New Zealand and Australia, he had asked the veteran skipper to decide his future himself. â€œI had a word with Misbah and asked him to decide about his future,â€ said Shaharyar. â€œHe said he will get back to me after reviewing his form in the PSL, following which he contacted me and expressed his desire to go on the West Indies tour. 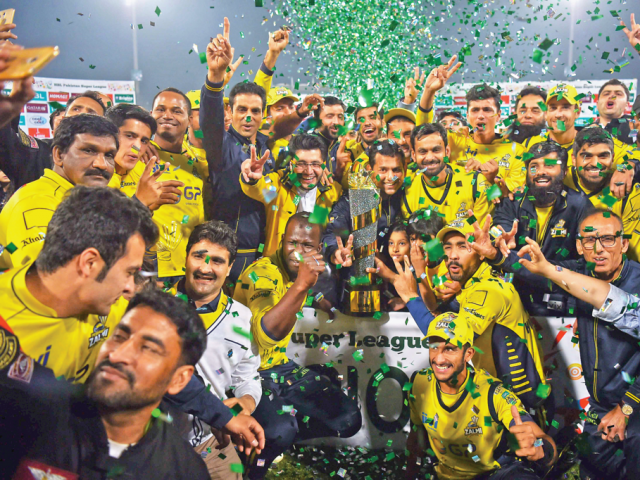 Shaharyar, while talking about the possible return of international cricket to Pakistan, added that hosting a successful Pakistan Super League (PSL) final was a small step towards a long journey. â€œIt was an opportunity for us to show to the world our security arrangements,â€ he said. â€œHowever, it will not be fair to believe that just one match can convince international teams to come to Pakistan. Fresh from hosting the Pakistan Super League final, there is more good news for Pakistan cricket as the International Cricket Council (ICC) is considering sending a World XI side to Lahore to play a four-match T20 series in September. The series, which will be another giant leap towards restoring foreign playersâ€™ confidence in visiting Pakistan, has been named â€˜The Independence Cupâ€™. â€œThe desire is to give cricket-starved Pakistani supporters the chance to see some of the worldâ€™s finest players in live action,â€ said the ICCâ€™s Pakistan Task Force head Giles Clarke. â€œThe world of cricket needs to help Pakistan, who cannot continue to play their home fixtures overseas. The announcement also gave PSL mastermind Najam Sethi an opportunity to gloat and show his critics how wrong they were when they doubted that the PSL final in Lahore would do nothing. No further details of the World XI side have yet been released, although the matches will be staged on SeptemberÂ 22, 23, 28 and 29. Â Since the infamous terrorist attack of 2009 on Sri Lanka cricket team on their soil, all the teams have refused to tour Pakistan, with Zimbabwe being the only exception two years ago. During this time, the cricket-frenzied nationâ€™s national team has played their home series in their adopted home ground of the UAE. Legendary Pakistan all-rounder Shahid Afridi on Sunday announced his retirement from international cricket, ending an illustrious and sometimes controversial 21-year career. The 36-year-old star had already quit Tests in 2010 and ODI cricket after the 2015 World Cup but still skippered the Pakistan Twenty20 team at the 2016 world championships in India. 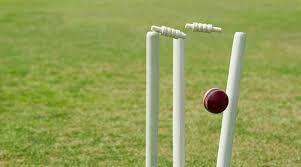 He stepped down as captain after the tournament although he retained slender hopes of continuing his career in the sport’s shortest format as a player. 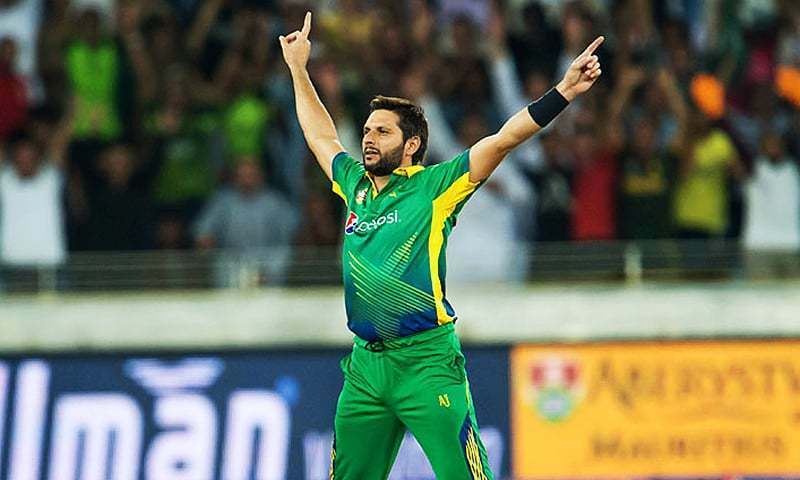 â€œI have said goodbye to international cricket,â€ said Afridi after smashing a 28-ball 54 in a Pakistan Super League match for Peshawar Zalmi in Sharjah. â€œI am playing for my fans and will continue to play this league for another two years but it’s goodbye from international cricket. Afridi also urged that the Pakistan Super League (PSL) season two final should be held in Pakistan during a post-match press conference on Sunday. â€œThe final, as announced, should be held in Pakistan, with or without international players,â€ he said. â€œThis is about respect, we can play with our local players but I request overseas players who have supported PSL to also come to Pakistan and continue their support,â€ he adds. Nicknamed ‘Boom Boom’, Afridi had been a fan favourite since he burst onto the scene in 1996, striking a 37-ball one-day century against Sri Lanka in only his second match to set a world record that was unbeaten for 18 years. He became known as a leg-spin bowling all-rounder in the second half of his career and was instrumental in Pakistan’s early successes in Twenty20, including their 2009 victory. After stopping short of retirement following Pakistan’s first round exit at the 2016 World Twenty20, Afridi had wanted to play a farewell Twenty20 match against West Indies in United Arab Emirates in September. But selectors, with one eye on the future, did not pick him in the squad. His blistering breakthrough century in Nairobi in 1996 was only surpassed by New Zealand’s Corey Anderson’s 36-ball hundred against West Indies at Queenstown in 2014. South African AB de Villiers then bettered the record further with a 31-ball century, also against the West Indies, at Johannesburg in 2015. Afridi’s rapid-fire century in Kenya made him an instant hit with the crowds who expected fireworks every time he strolled to the crease. Sometimes he delivered but too often for some, his death or glory approach brought his downfall. Afridi’s maverick style also brought him a one-Test and two-match ODI ban after he was charged with using his foot to tamper with the pitch during a Test against England in Faisalabad in 2005. He was also banned for two Twenty20 internationals after he was shown on television biting the ball during a one-day international against Australia at Perth in 2010. His Twenty20 international CV saw him play 98 matches with 1,405 runs and a career-leading 97 wickets. West Indies will host a full series, including three Tests, against Pakistan beginning on March 31, the West Indies Cricket Board (WICB) has said. Queen’s Park Oval in Port-of-Spain will stage two Twenty20s, to be followed by three one-dayers at the Guyana National Stadium. Kingston’s Sabina Park will host the first test from April 22, followed by matches in Bridgetown (April 30-May 4) and Roseau (May 10-14). Former giants West Indies rank a lowly eighth in Tests and WICB manager of operations Roland Holder said the series against number five Pakistan would offer an additional opportunity to improve their ranking. â€œAny series against Pakistan always poses an interesting contest for the West Indies,â€ he said in a statement. There was no word from WICB, however, on the possibility of playing two Twenty20s in Pakistan, which remains a no-go zone for top teams wary of security issues in the country. â€œThere is an offer (from the PCB) to play two T20 matches in Pakistan, subject to Players’ Association agreement and security clearance,â€ Holder had earlier told ESPNcricinfo. ISLAMABAD: In a cricket-crazy country like Pakistan, tennis has not been able to get its due with only an odd icon like Aisam-ul-Haq making waves on international circuit. However, there are still youngsters in this countryâ€™s folk who want to turn professionals and aspire to excel like worldâ€™s top stars. Huzaifa Abdul Rehman is one of them. The 14-year old is Pakistanâ€™s top junior player and has been outstanding in the last couple of years. He has already jolted the tennis circuit at the Asian level by winning six Asian Tennis Federation (ATF) tournaments in 2016, five of them held outside Pakistan. Currently the No.2 junior Asian player, Huzaifa idolises Swiss great Roger Federer and aims to be like him. â€œHe is my ideal and I want to shine in the world of tennis like him and though Federer is currently not among the worldâ€™s top ten players, he is undoubtedly the greatest tennis player of all time,â€ he said of the legendary Swiss player who continuously remained in top 10 from October 2002 to November 2016 and also held the number one position for 302 weeks â€” a world record in the sport. 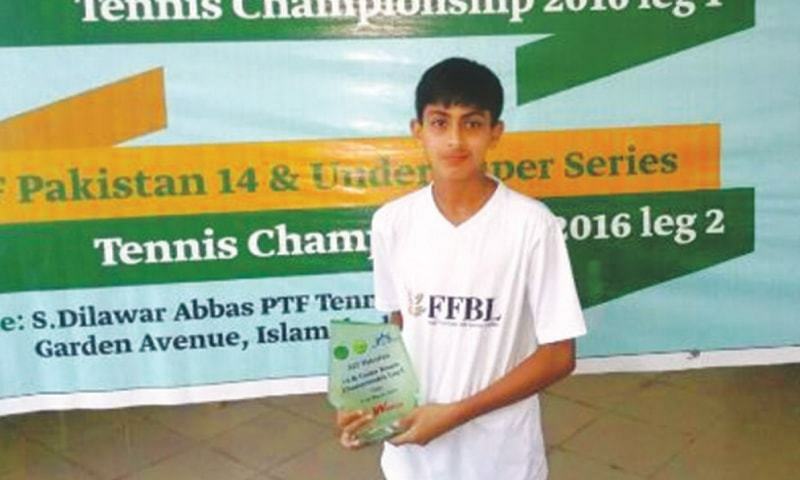 Huziafa, who represented Pakistan in the International Tennis Federation (ITF) 14 and Under Junior Development Series division 2 in January last year and claimed a silver medal in the coveted event, said he is training hard to accomplish what his role model (Federer) achieved after turning pro in 1998. But Huzaifaâ€™s father Col Mohammad Faisal believes that despite being highly talented, his son will only match the great Swiss playerâ€™s accomplishments if he has the proper financial backing. Huzaifa got training in Bangkok in May 2014 under coach Dominik Utzinger, an Asian Tennis Federation ITF level III coach. Then last year from Jan 2016 to June 2016, he again spent a six-month training period in the same country under Pracharapol Khamsaman, an Asian Tennis Federation ITF level II Coach. At home Huziafa is groomed by Faisal at the tennis courts of Mangla Cantt. When he is in Islamabad he is trained by former Pakistan No.1 and ITF Level II coach Asim Shafik who has a high opinion about his pupil and feels he has all the potential to become a tennis icon. â€œHuzaifa is a highly talented kid and when I see his commitment and devotion to the game, I know that one day heâ€™ll become a great player. The good thing about him is that he spends a lot of time in training. Iâ€™ve no doubt in mind that hard work will pay off and heâ€™ll rise in world tennis,â€ Asim added. Pakistan Cricket Board (PCB) Media Director Amjad Hussain told DawnNews on Tuesday. 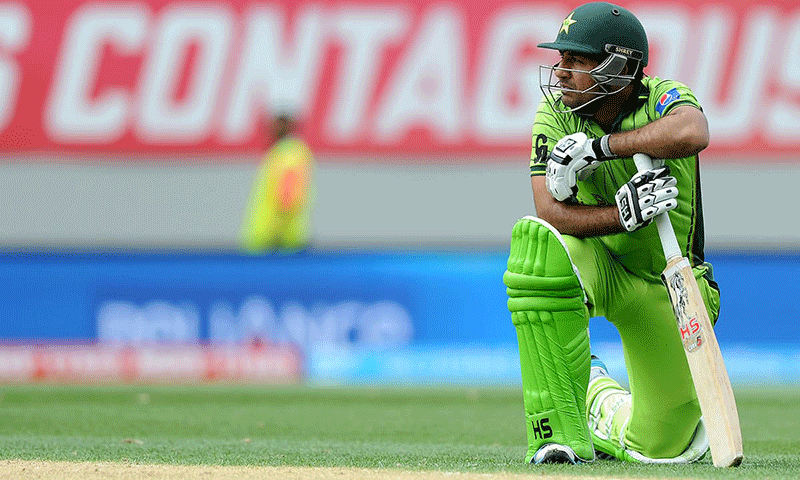 Sarfraz will return to Pakistan on the first available flight to see his mother, PCB sources said. Sarfraz’s return is a second blow to the Pakistan One Day International squad, which is to face Australia without paceman Muhammad Irfan, whose mother passed away earlier this week. Irfan will be replaced by Junaid Khan. According to PCB sources, Muhammad Hafeez will join the Pakistan team today, whereas Khan will join his teammates tomorrow. Pakistan and Australia will face off in Brisbane on Jan 13.